Most of the People just aware about data structure but when it comes to the in depth knowledge of Data structure , very few of the people stand up to mark. Data structure itself is one of the most buzz field in the computer science industry and every one once in the life always read data structure either in their college life or while preparing for interview , but few of the people is having good in depth knowledge of data structure. people things that data structure is very tough field , but believe me its one of the most interesting topic in computer science where actually engineers are solving the day to day problem of human being from creating algorithms and making life digital. 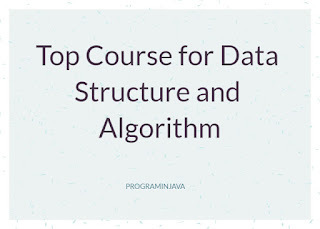 Let see how if you dont have good knowledge of data structure , you dont need to be worried there are some online courses which are very good on Udemy. Before we go further you can also see some of the important course every developer should take. 1. If you are new to data structure and preparing for job interview below is good course. It is good for beginner , will cover from all the topic important for interview. The Instructor will teach you all the topic and then give explain every datastrucure. Will highlight all the interview related topics and interview questions can be asked. Will clear your doubt and queries. Analysis algorithms like Sorting, Searching, and Graph algorithms. how to reduce the code complexity from one Big-O level to another level. 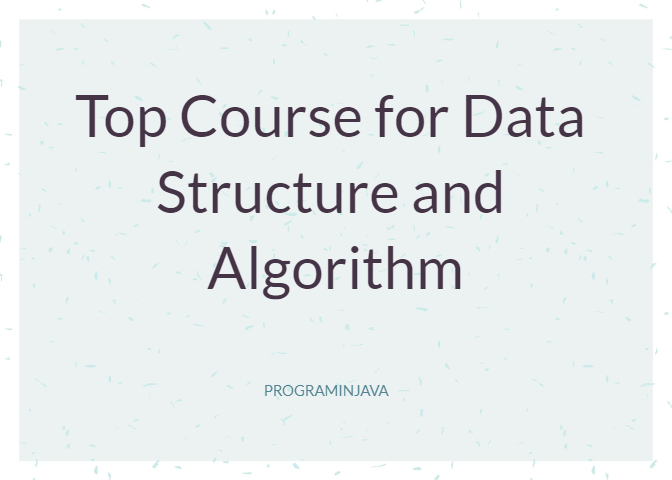 Furthermore, you will learn different type of Data Structure for your code. how to apply correct Data Structure to your problem in Java. how to analysis problems using Dynamic programming. Graph algorithms( Binary tree, DFS, BFS, Nearest Neighbor and Shortest path, Dijkstra's Algorithm, and A* Algorithm). Note : This is one of the best course though the english of instructor is not native english man , you might fell difficulties. I hope this will help you to get the indepth knowledge of data structure ,and will help you land to dream job. If you like this aricle please share it with your friend and colleagues.